After some major flooding, on the river Mole (in North Devon), at the tail end of last year, the levels dropped and revealed swaths of detritus washed down. Macabre Christmas Trees line the bank as shredded black silage wrap hang from the branches. On a gloomy day it looks like the set of a Tim Burton movie. 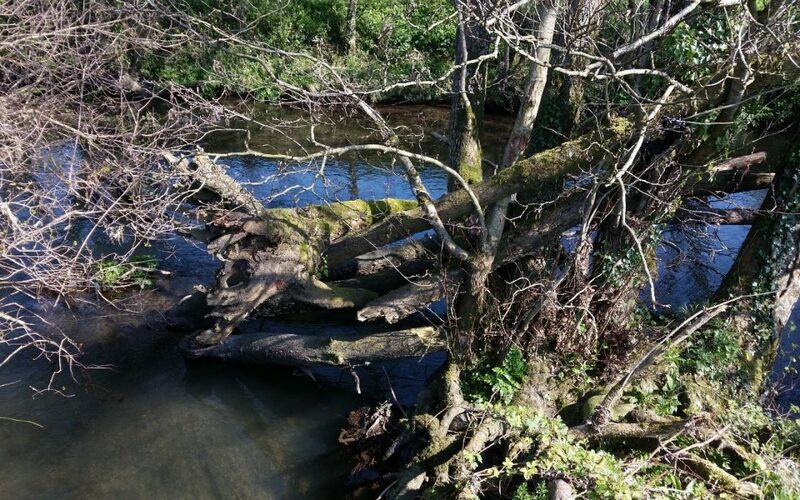 Hopefully, on May 6th, the weather will be glorious and levels low, ideal for a team to get in the river and pull this unsightly waste from the beautiful site. Bring suitable clothes for working outside, a change of clothes just incase, a packed lunch, sunscreen, hat, wellies or even waders if you have them.